If you are looking best free WordPress blog themes then you are in the right place. In this post, I have presented some of the best free WordPress blog themes for the beginner. You already notice that there are lot’s of free WordPress themes for blogging and it’s really hard to find the perfect one as a beginner. If you try then you will find thousands of WordPress blog themes in the official WordPress theme directory. So no worries and no need to search anywhere. 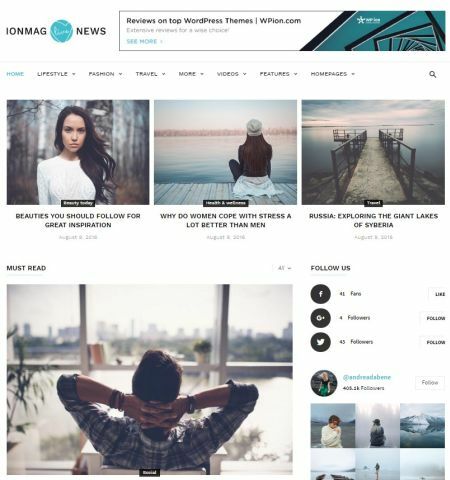 I hope in this post you will find a best free responsive WordPress theme for your startup blog website. If you don’t have much time to take look the whole list then this top 10 free listed theme is for you. 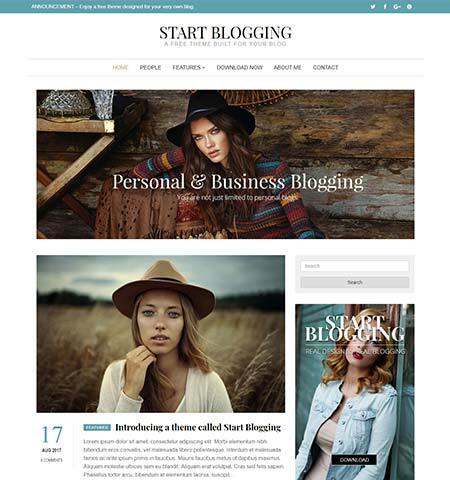 A stylish theme for fashion blogger, Writer or Magazine website. It looks really great with the minimalist design. Also, they have chosen the color and fonts very carefully for this theme. The color and font’s combination make this theme more attractive. It has great sidebar elements that turn your website more functional and user-friendly design. 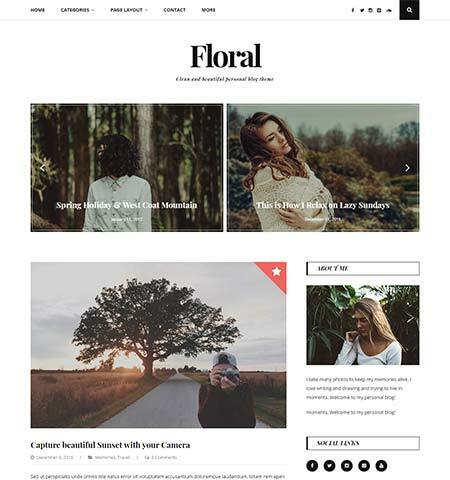 Floral Lite is a minimal clean eye-catching beautiful modern WordPress blog theme. It has a modern elegant look. 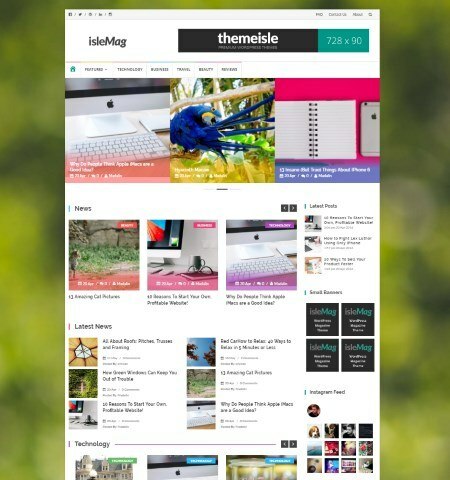 You can customize this theme easily to build your blog. They use the latest design Material UI Kit in this theme. It has Instagram widget into the footer and sidebar this is really great for the visitor to take a look at your Instagram profile instantly. FaceBlog is one of my favorite blog themes because it has clean and well design coded. They mostly focus on in this theme for bloggers. Also if you are a photographer, journalists etc any kind of writer then you can use this theme for your website. Also, they have great customer support via email or support forum. 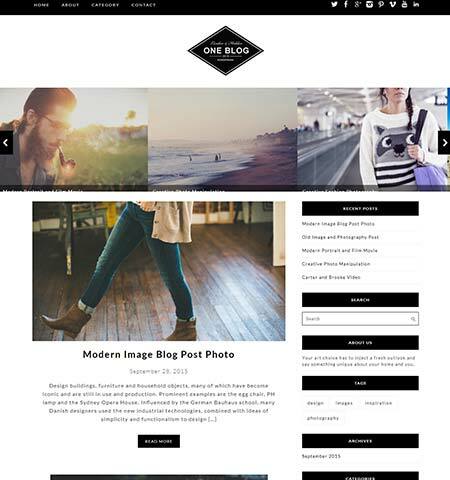 One blog is beautiful and very simple light-weight blog theme for the blogger. It comes with clean and modern design and eye-catching look. This template is minimal feel looking and color combination with contemporary timeless style. Make your images glow out and focus on your content. 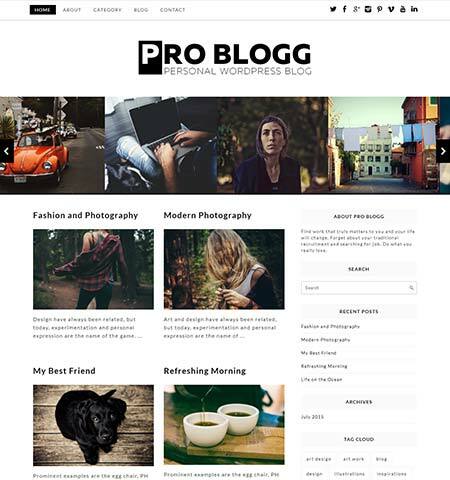 Pro blogg is one of my personal favorite WordPress themes. 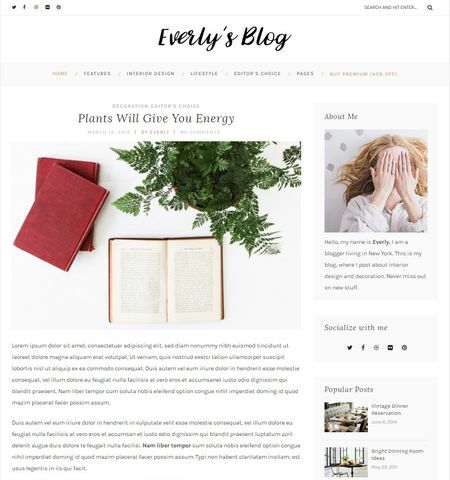 This is very beautiful and simple blog theme for those people who want to start their blog right away. It has clean, modern elegant design. 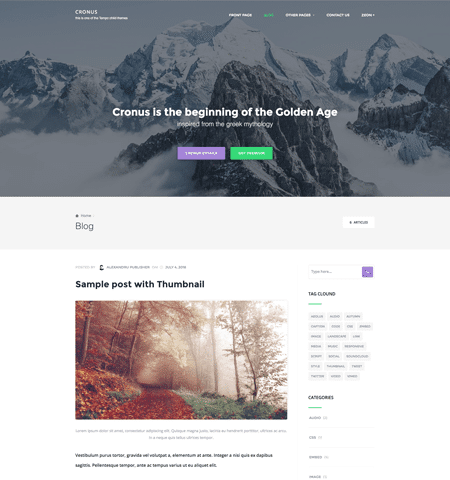 Multipurpose blog is a beautiful and minimal blog theme. This theme is designed especially for the blogger to make their blog for their own topic. As like an example you can use this theme for photography, food, fashion, lifestyle, magazines, travel etc blog. There are lot’s of features on this theme. 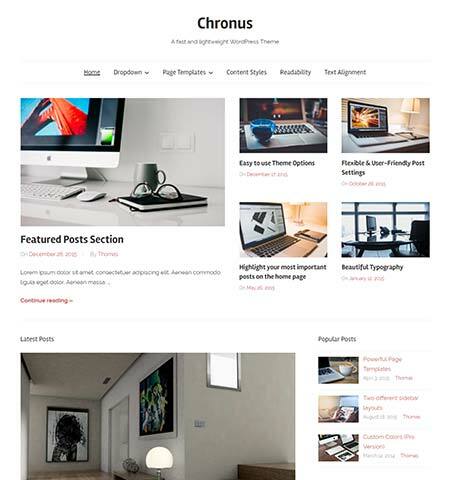 It’s really a powerful WordPress blog theme for the blogger. They have some advanced customizable feature. Start blogging is a stylish interactive theme. This is designed for using personal and business blogging websites. It has very powerful customizer features. You can easily customize your website design and content and also can see the live result for the changes. This theme is mainly focused on the simplicity design. I’ll list here some of the best features on this theme. An awesome template. Great loading speed very fast and lightweight WordPress. 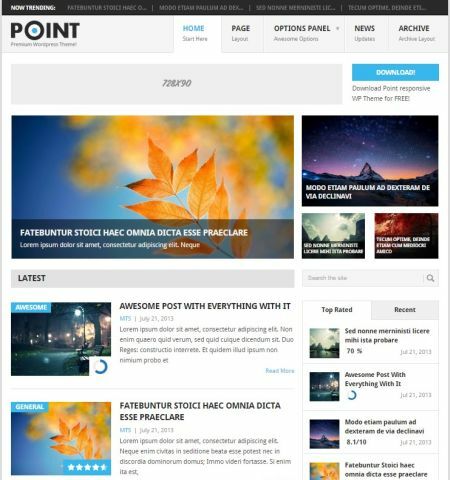 This theme is build based on magazine, news and personal blog template. This is a great minimalistic theme. 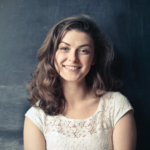 It mainly focuses on your content. It helps your content to look great. Cross-browser supported and any device supported theme. This is an ultimate Magazine template with some greatful creative design and powerful features. It’s powerful function allows you to customized this theme very quickly and easily to suit your needs. It has live preview customizer features that allow you to see the live change/preview without reloading the page. 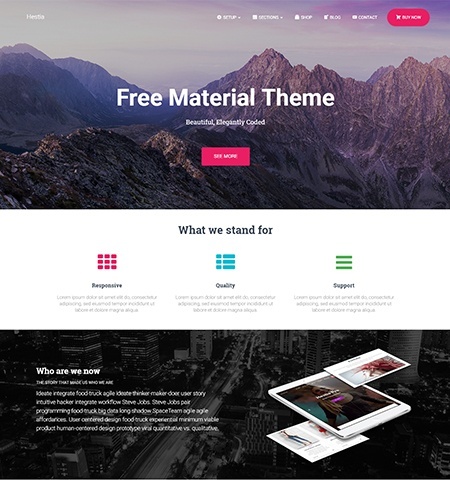 It’s a clean, beautiful and modern free theme that uses the latest UI kit for the design. It’s a multipurpose theme. But It has one also one-page design template with smooth scrolling and modern aesthetic look. It has also online shop features that help you to seel your digital or physical products online. If you are a photographer and want to build your photography blog website right now today then this theme is only for you. 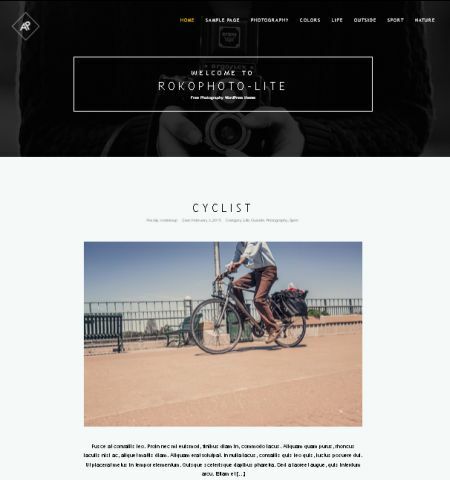 It’s a great catchy WordPress theme for photographers. It has full-width header image and different kind of photography section. You can use every section based on category. Every post has full-featured image function. 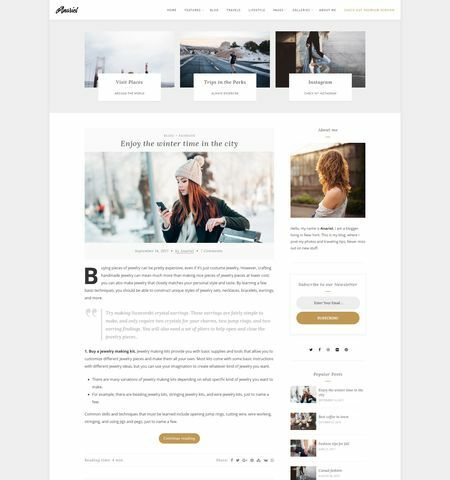 It’s a very cool and stylish theme for those people who love to write and also a professional blogger, looking for very simple and elegant website design. It has mobile friendly layout and great loading speed. 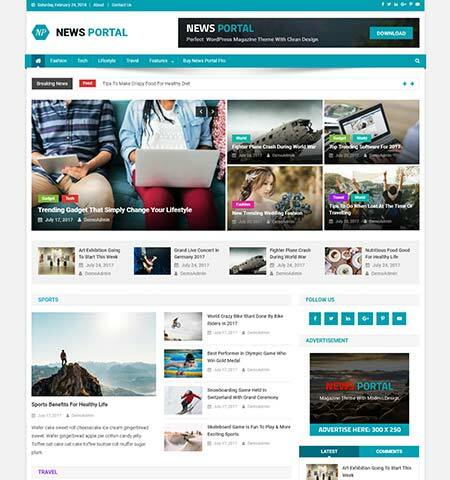 A highly customizable professional WordPress theme for the personal blog, newspaper and professional blog website. Also, you can use this template for a review website. You can publish review content. This theme is fully customizable and support videos from different platforms like youtube, Vimeo, and DailyMotion. It has included a custom drag and drops page builder, Multiple headers, Footer, Different types of post template, Ads integration features. Compatible with Woocomerce, bbPress forum and most popular social plugin BuddyPress. 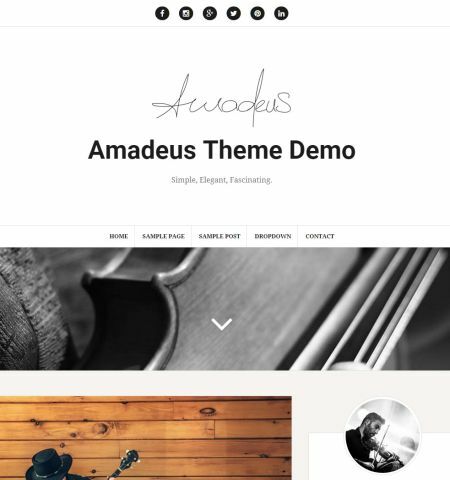 Amadeus is a clean and modern template for personal bloggers. It has multipurpose design and very simple minimal look. 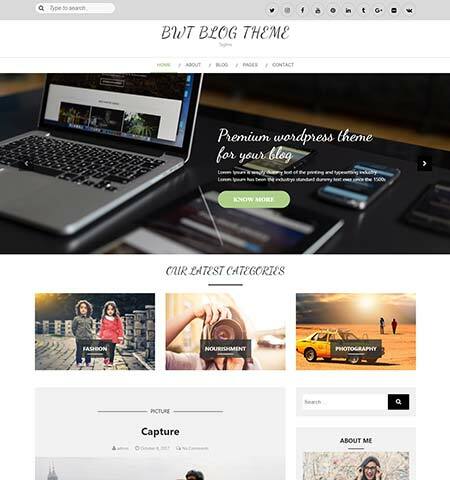 For this extra features, you can use this theme for your blog or any kind of startup business website. It has a full-width header and smooth scrolling. Overall, we can say that Amadeus is elegant, minimalist and a classy looking theme. A beautiful elegant modern WordPress theme for fashion and lifestyle blogs, with a clean, classy design and mobile-friendly layout. It has 4 homepages and blog layout those are Default, grid, full-width and magazine layout. 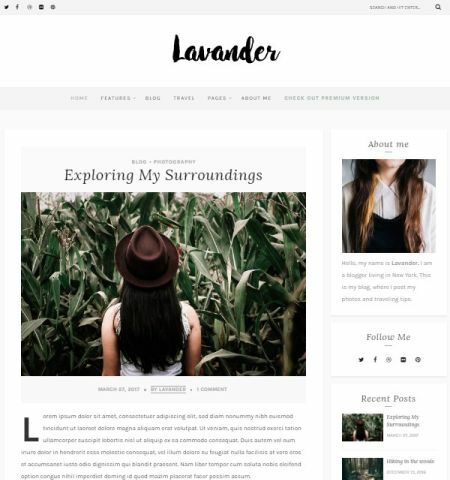 Lavander lite is a very lightweight minimal WordPress theme for bloggers and writers this is really a highly professional looking blog theme. It has classy one column layout that looks just awesome. I personally recommend this theme for those who want to start a lifestyle, fashion and travel blogging. 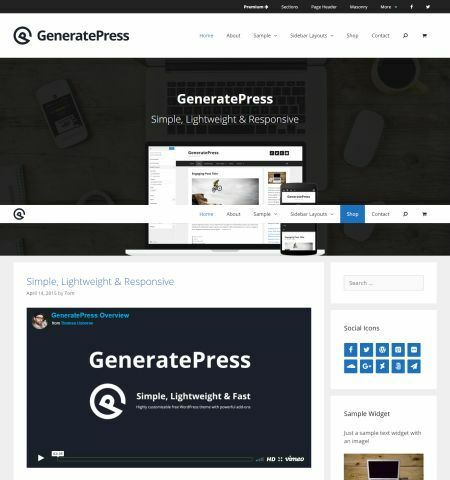 Though generate press is build based on multipurpose WordPress theme but I recommend this theme for blogger also. Because it has multiple post formats and some advanced widgetized features. 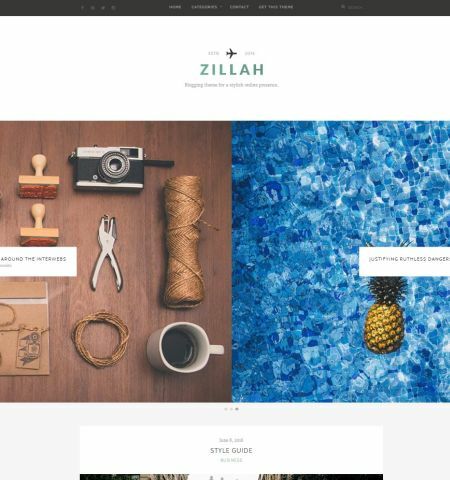 Also, you can sell your digital products through your website using this theme. 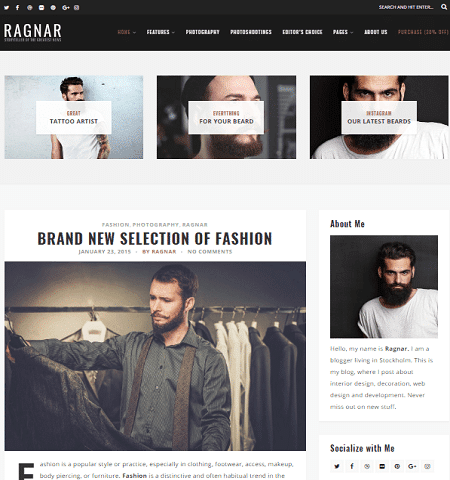 This theme is compatible with WooCommerce and other popular plugins. 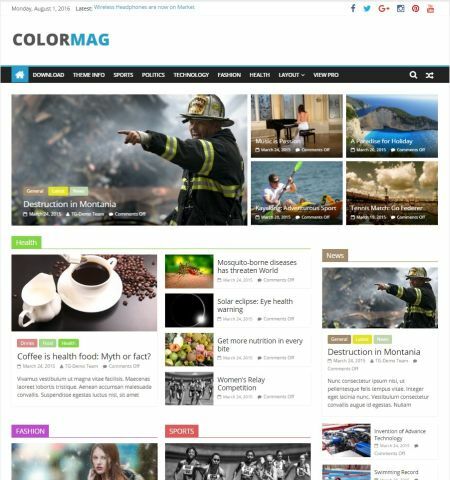 ColorMag is a very popular theme. 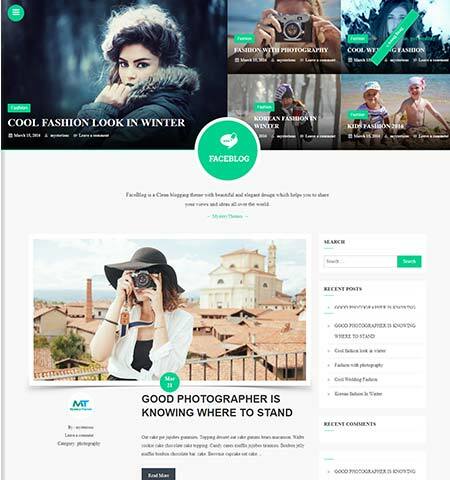 It has the multipurpose layout, for this reason, you can use this theme for magazines, newspapers, blogs, and review websites. So you will get everything under one roof. This theme has an elegant and beautiful look, with color full icon’s, button’s, featured slider and a perfect matching content structure.